​Nicola Samra was appointed Executive Director of the Monterey Symphony July 1, 2017. She previously held positions at the Carmel Bach Festival and Cal State University Monterey Bay, in the university's development department. A Seattle native, Nicola worked for the Seattle Chamber Music Society, the Women's Medieval Choir, and The Bill and Melinda Gates Foundation. Nicola holds degrees in Spanish Literature and Music History from The University of Puget Sound, and an advanced degree in Arts Administration from The University of Washington. She currently serves as Vice President on the Association of California Symphony Orchestra's (ACSO) board and is the Treasurer for the Association of Fundraising Professionals (AFP), Monterey Bay chapter. 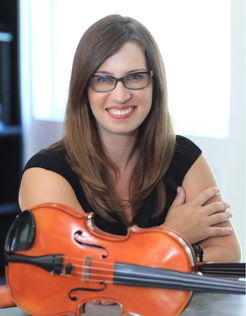 A classically trained violinist, Nicola has performed, toured, or recorded with Mastodon, Sky Cries Mary, and Sera Cahoone, in addition to founding the all-female string trio, The Bella Trio. ​Dr. 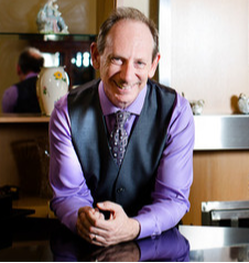 James Neiman began his piano studies at the age of 3 with his mother, Lea, a former international competitor and concert pianist. He ultimately decided in favor of a career in mathematics and computer science. His music studies continued, however, with Julian White, Adolph Baller, Wanda Krasoff, and Hans Boepple. He has been presented in numerous stage appearances over the past several decades, including piano recitals, chamber recitals, and concerto solo appearances. He specializes in the performance of chamber music. ​Chris Healy was born and raised in Mission Viejo, California, where he began his musical education under his father's instruction both in elementary music at school and in the Southern California Children's Chorus. He began cello in the fourth grade along with many of his classmates and has never looked back. He made his solo debut with the Saddleback Community College Orchestra in 2012, and holds a BM in Cello Performance from Boston University. While there, he studied with Marc Johnson and Mike Reynolds, and graduated in 2017. 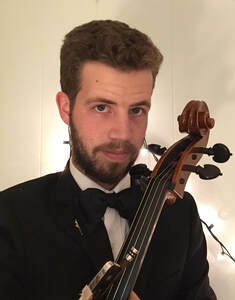 Besides the Boston University Symphony Orchestra, he has performed with groups such as the Lowell House Opera and Commonwealth Lyric Theater, and coached cello for the youngest string groups of the Boston Youth Symphony Orchestra. Today you can find him playing in the Monterey Peninsula College String Ensemble and in various performances around the peninsula. He is also pursuing a master's degree at the Middlebury Institute of International Studies at Monterey, studying translation of Chinese into English.